(KFVS) - Heavy rainfall is causing flash flooding in parts of the Heartland. The high-water is causing some road closures. Route 177 near Kelso is closed due to rising floodwaters. MoDOT say they do not anticipate additional closures on 177. MO-77 southbound and northbound is closed to flooding from the Mississippi River rising. MO 77 southbound and east bound is closed due to flooding from the Mississippi River rising. Route AA is closed southbound and northbound due to rising water. MO 80 westbound and eastbound is closed due to water over the road. Route J eastbound and westbound is closed due to flooding. At the Jackson-Randolph County line, Illinois Route 3 between IL 151 and Chester is scheduled to close at 10 a.m. Monday April 1 due to high water from Mississippi River flooding. IDOT crews will be closing Rt. 3 at the Cora Levee Floodgate. This section of road will be closed until further notice. A marked detour is in place. Rt. 3 to Kaskaskia St. near Chester is closed due to flooding. IL 155 from Laurent Road to Fish Lake Road near Prairie Du Rocher is closed due to flooding. 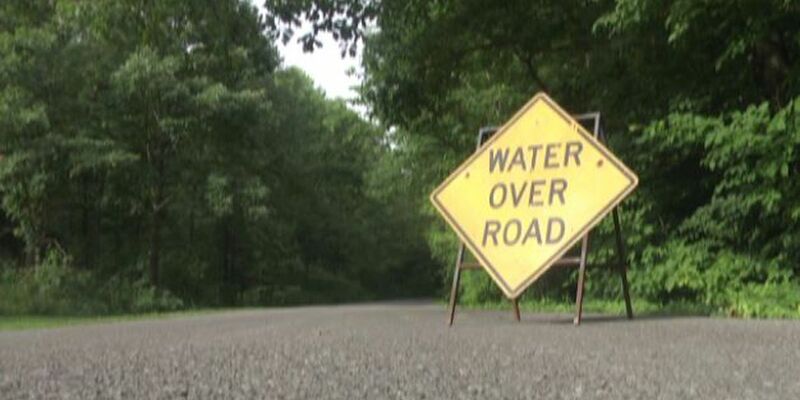 Transportation officials remind drivers to turn around if water is on a roadway. Driving through floodwaters could cost the driver their life or the life of others. It doesn’t take much water to force a vehicle off the road.